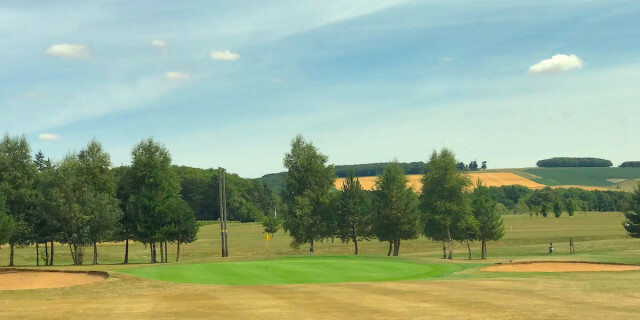 Stretching over 120 acres of the Yorkshire Wolds, the KP Resort gives you the perfect backdrop to enjoy some good old Yorkshire golf. Based in Pocklington, just 20 minutes away from York City centre, the team at the KP Resort have created a very impressive facility over the last few years, which is now owned by Darwin Escapes. 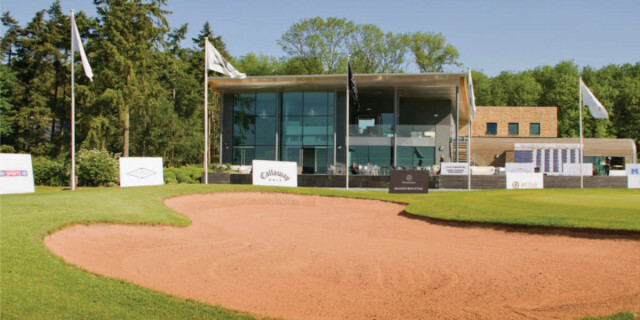 Originally designed in 1994, it was in 2011 when the significant investment plan began, with the addition of more luxury lodges, a gym, spa and fantastic new clubhouse, and not forgetting improvements to the course itself… with lots more planned. The 6193-yard par 70 parkland course will provide a thorough test for most golfers. You just have to watch the Trilby Tour on Sky Sports… they have been a visitor to the KP Resort for the last three years. As you arrive and drive in through the sweeping drive, you get a real feel of what they are trying to achieve here at the KP Resort. The clubhouse is seriously impressive, with fantastic views over the 18th green… perfect for a quick bite to eat before you head out on your round. Want to do some practice before you play? There is a driving range as well as chipping and putting greens. Should you really want to spoil yourself, grab a pre round massage in the spa! Finally, there is a small but very well stocked pro shop for any left minute golf purchases. When you get on the first tee, you’ll get a good feel for what lies ahead. 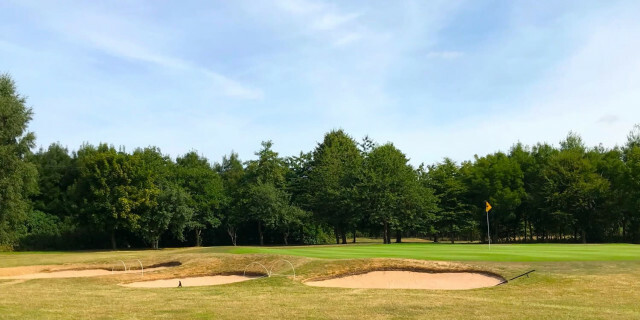 Whilst it looks quite simple and open, the reality is that the bunkers and hazards are all placed in key areas… meaning you really have to think your way around to put in a score. The 1st feels like a fairy gentle start; a 432-yard par 4, with fairway bunkers left and right covering anything landing 250-280 yards. Land it in the middle; you then have to contend with a hazard protecting the front of the tricky green. The second is another one you need to really think about. 410-yard par 4, dogleg right with water coming into play on the line you need to take. Getting into position from the tee is crucial to scoring here. The 4th is a brute of a hole! A 612-yard par 5… that plays uphill too! 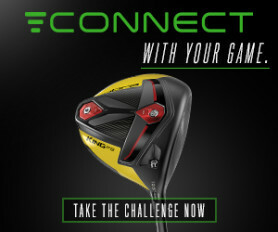 You’ll need to get a good drive away to give you a chance to make par. By the time you have arrived at the 6th, you should have your breath back, ready to take on the 195-yard par 3. A very tricky and well protected green, with three bunkers left and one to the right ready collect any wayward balls. When you get to the 8th and 9th holes, you play around the stunning lodges. The 8th is a tricky 386 yard Par 4, which as with many of the other holes, requires an accurate tee shot on this left to right dogleg, with OB up the left. Keep it in play and you should only have a short iron into a small 2 tier green. Sink you birdie putt, wave to the on looking lodge visitors and move on to the 9th! A thoroughly enjoyable 9 holes of golf. The back 9 sees you head away from the lodges… but does give you some real scoring opportunities. The 10th is a 373-yard par 4, that if you take driver and aim right… could find it’s way to the green. However, the fairway bunkers are placed in the exact place your ball will probably want to go! Avoid them; you have a real birdie chance, if you put it close on the small, tricky green. The 11th gives you another great birdie opportunity, a drivable par 4 at just 290 yards. Make sure you’re accurate though… there are bunkers left and right front protecting the green… they couldn’t make it too easy could they?!! The 13th may well be one of my favourite holes on the course. Firstly, it is another great birdie opportunity if you get a good drive away down the 366-yard par 4. But also, the views in the distance are stunning.. such a wonderful backdrop. As you get onto the 16th, you have three lovely holes to finish your round at the KP Resort. The par 4 16th runs alongside the driving range. Despite feeling a little weary by this point, the nice open feel with make you really want to open the shoulders and give it a big smack! It all runs downhill, so make sure you pick the right club for your second shot. The 17th is a lovely par 3… my favourite of the par 3’s at the KP Resort. 167-yards long with a very tricky elevated green, and a lake to the right, choosing the right club will be crucial in making a score here. Then onto the 18th, a fantastic finishing hole. 414-yards back towards the clubhouse. A slight dogleg right to left favours a draw shape off the tee. A good tee shot should leave you a nice easy mid iron into a raised green, protected by bunkers left and right. Put it close and the on looking crowd will no doubt show their appreciation with a ripple of applause. The course at the KP Resort is challenging, whilst still very fair and scoreable… if you can keep the ball in play. The front 9 really requires you to think your way around, whilst the back 9 gives you some super opportunities if you feel confident. The general course condition was fantastic, despite the super dry summer we are having and the greens were excellent. 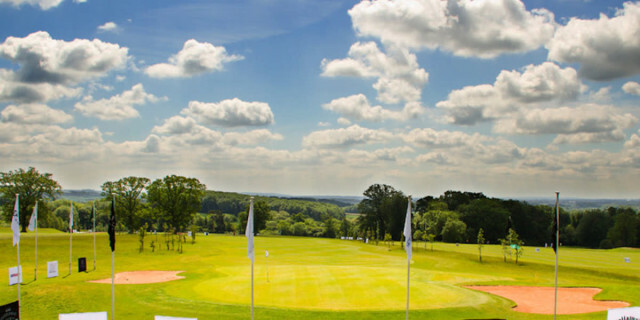 A thoroughly enjoyable golf course that will appeal to all levels of player. The KP Resort is a fantastic place to visit. Don’t just consider it as a golf venue though… although it absolutely delivers on that. This is the kind of place you can come with your friends, or your family… stay a couple of days and really enjoy all the facilities on offer. I will certainly be looking to come back soon… this time with the full family! Reviewed in July 2018 by Golfshake Ambassador Kevin Paver (Handicap 14).